Facebook-owned WhatsApp announced its Business app back in September 2017 and launched it next year in January. But, the app was only launched on Android and there's been no word from WhatsApp about its availability on iOS. Fast forward to February this year, WhatsApp Business made it to iOS in the form a beta version, and it seems the testing has gone smooth as the stable version is now finally available on the App Store. 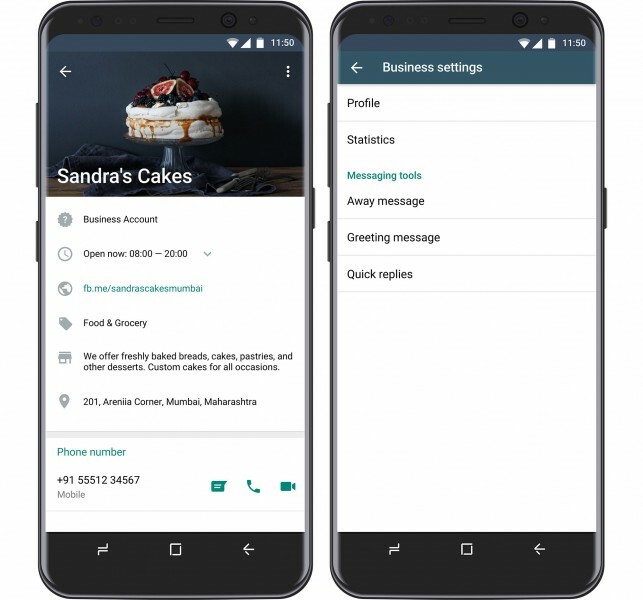 Unlike WhatsApp Messenger, WhatsApp Business is a standalone app aimed at businesses. It comes with features like away message, greeting message, and quick replies. It also lets businesses add information like working hours, address, and links to social media account or website to their profile page. If you live in a country other than the ones mentioned above and find WhatsApp Business on the App Store, drop a comment below. WhatsApp Business is available in INDIA.